The MIDI IN connector lets you synchronize with other devices, as well as play the volca from any MIDI keyboard. 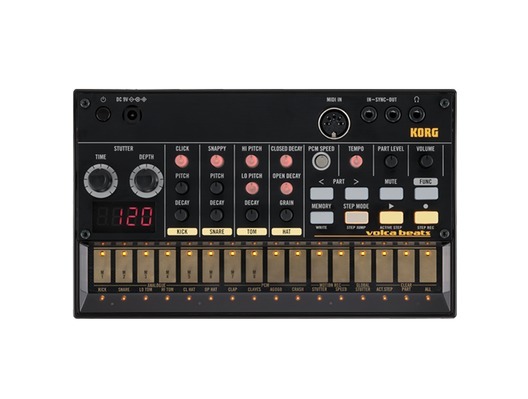 You can also send note messages from your DAW and use the volca as an analog sound module. Until now, the problem with analog synthesizers has been that the pitch would drift over time, or because of changes in temperature. 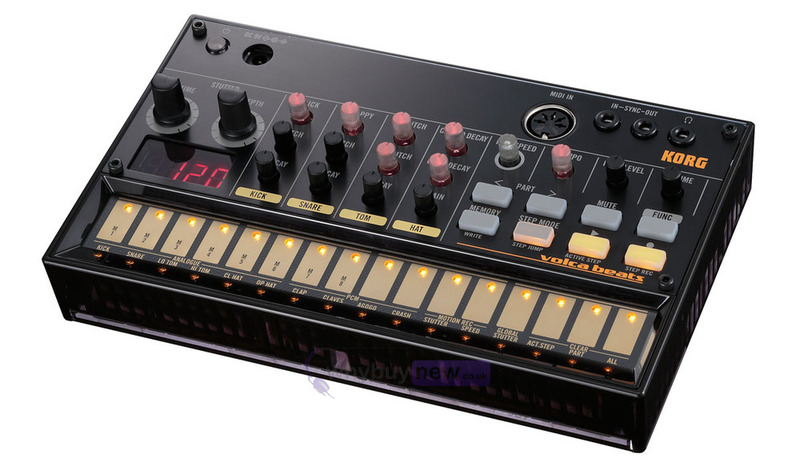 Volca solves this by providing a Self-tuning function that constantly tunes the oscillators. You'll never need to tune during a performance, or wait for the pitch to stabilize after turning the power on. Active Step function generates new bass lines by removing or inserting steps. Even today, more than thirty years after the age dominated by analog synthesizers, we just can't let go of the sound of analog rhythm machines. Those thick sounds have the power to stand up to guitar and acoustic drums, and are still indispensable for track-making or live performance. 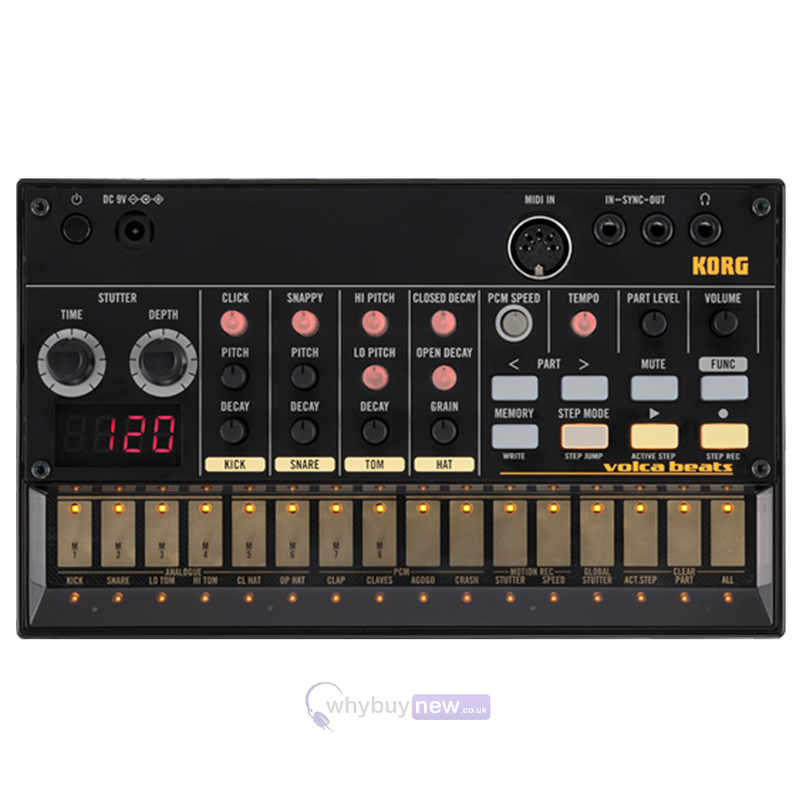 The volca Beats gives you those analog drums plus the easy-to-use step sequencer of the Electribe; it lets you turn your inspiration into reality and generate beats with the best high quality sounds.